In most circumstances, whenever a US Navy ship either runs aground or collides with another vessel there’s veritable hell to pay, and the Captain of the ship is the one who must write the check, no matter what. Making matters far worse, in this case, are missing sailors, possible loss of life, and severe injuries. In fact, in all but the most unusual of circumstances, the Commanding Officer’s naval career is all but over, unless circumstances prove that there was nothing the ship in question could have done in order to avoid the collision. Since we don’t know any of the details as of yet, it’s unwise to jump to conclusions, however, no sailor would wish to be in the commanding officer of the US Fitzgerald’s shoes, in the upcoming days. 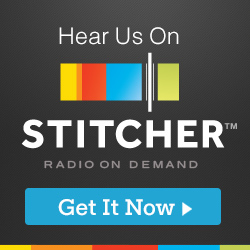 (May 13, 2017) Cmdr. Bryce Benson, left, and Cmdr. 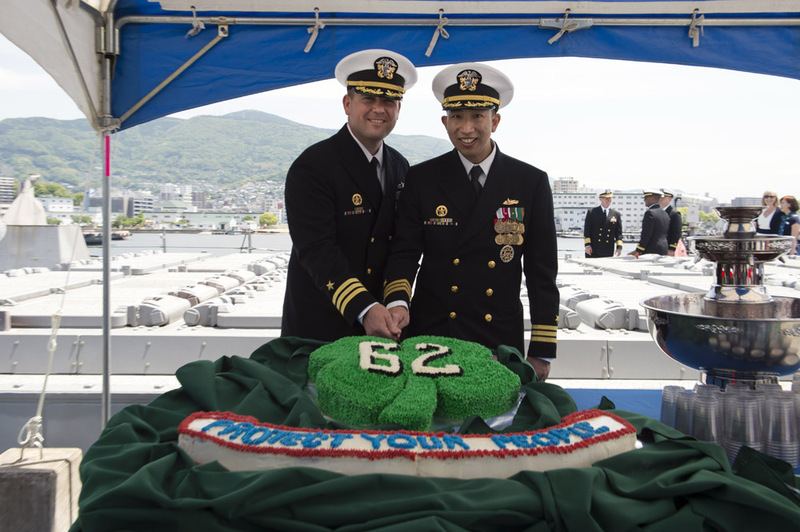 Robert Shu cut a cake after a change of command ceremony on the forward-deployed, Arleigh Burke-class guided-missile destroyer USS Fitzgerald (DDG 62). Making matters far, far, worse, the Captain of the Fitzgerald took command of the vessel only amonth earlier, on May the 13th, 2017….that’s just not good, not at all…..in our prayers….. Seven crew members are missing and at least three injured after a U.S. Navy destroyer collided early on Saturday morning with a Philippine-flagged merchant vessel south of Tokyo Bay in Japan, the U.S. Navy said. The Japanese Coast Guard said the U.S. ship was experiencing some flooding but was not in danger of sinking, while the merchant vessel was able to sail under its own power. The U.S. Navy said in a statement the USS Fitzgerald collided with a merchant vessel at about 2:30 a.m. local time (1730 GMT), some 56 nautical miles southwest of Yokosuka, a rare incident on a busy waterway. Three aboard the destroyer had been medically evacuated, including the ship’s commanding officer, Cmdr. Bryce Benson, who was reportedly in stable condition after being airlifted to the U.S. Naval Hospital in Yokosuka, the Navy said. The other two injured were transferred to the hospital for lacerations and bruises, while other injuries were being assessed, it said. The Fitzgerald and the Japanese Coast Guard were searching for seven missing sailors. It said the full extent of damage to the ship and injuries to its crew were still being determined. The Fitzgerald was operating under its own power, “although her propulsion is limited". The USS Dewey and two Navy tugboats had been dispatched to provide assistance, the Navy said. Japan’s public broadcaster NHK showed aerial footage of the destroyer, which had a large dent in its right, or starboard, side. Images broadcast by NHK showed it had been struck next to its Aegis radar arrays behind its vertical launch tubes. 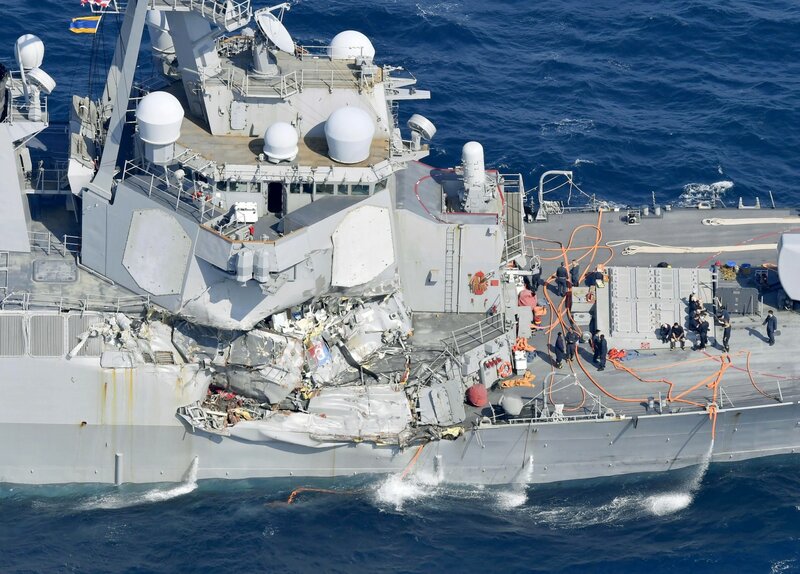 The images showed what appeared to be significant damage on the deck and to part of the radar. NHK also showed footage of the container vessel and said it was heading towards Tokyo under its own power.